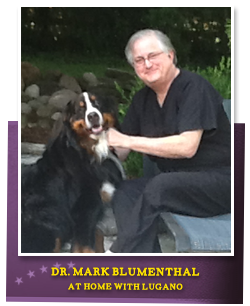 Getting to know Dr. Mark Blumenthal is like reacquainting with a trusted friend. Mark is a self-made man who found that commitment and pride add up to success. Mark's success was built upon his intellect and drive, not his personal "connections." 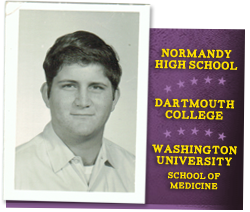 Mark was fortunate to receive a full scholarship to Dartmouth College and the prestigious Washington University School of Medicine. Upon his completion of Medical School, he was accepted to Barnes and Washington University affiliated hospitals for both his internship and residency in General Surgery. 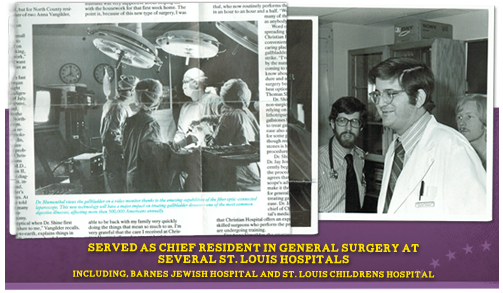 He later became Chief Resident in General Surgery at the following hospitals: Barnes Hospital, St. Louis City Hospital, St. Louis County Hospital, John Cochran VA Hospital, and St. Louis Children's Hospital. After his chief residency, he was an Instructor in Surgery at Washington University. 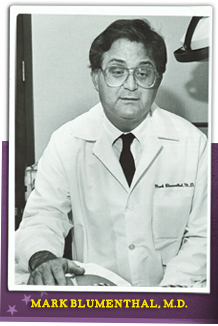 Mark entered private practice in 1982 and joined the surgical staff at DePaul Hospital in Bridgeton. Mark became a pioneer when he recognized the growing importance of treating varicose veins and developed a professional practice around their treatment. Varicose vein problems were generally of little interest to most surgeons. Mark was a pioneer in that he was the first area physician to invest in direct marketing to help find demand for a specific disease. Advertising was not a popular thing to do at the time. Ann Keefe, the well-known KMOX personality, became the spokesperson for his practice at DePaul. She created interest in a treatment that was virtually unknown to much of the United States. Varicose Veins are treatable without an operation! Women from all over the Midwest were excited to learn that there was a simple treatment for this common problem. During his residency Mark was exposed to "vein stripping" for big varicose veins ....and still there was no satisfactory treatment for small spider veins. It didn't take Mark very long to conclude that "stripping" the legs of women was "barbaric" and not treating spider veins was foolish. He studied procedures being used by most surgeons in Europe. Ever the student, Mark studied their work of surgeons in London and Paris where they had perfected a new procedure, called Sclerotherapy. Mark traveled to Paris and London to study the new procedure first-hand. Mark's vein practice grew dramatically and he eventually had to stop practicing general surgery from sheer lack o' time. Another pioneering step in his career. Setting up a non-hospital medical practice office in a retail center. Mark selected a convenient and inviting location in a retail center adjacent to West County Center at Manchester and Ballas in Des Peres. He wanted people to feel happy about resolving a problem and certainly wanted to avoid a "hospital office environment", where people go only when they are sick. 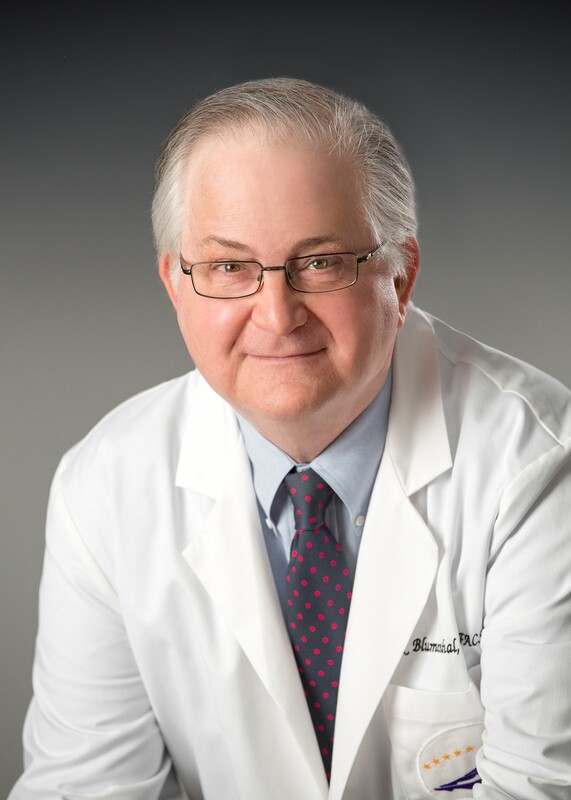 Mark was a pioneer in creating the nation's busiest and most credible medical practice devoted exclusively to the treatment of varicose and spider veins. And, this remains his focus today. The Vein Center & CosMed was the very first private facility to have a cosmetic laser able to treat small facial veins and brown discoloration on the face. Mark was among the very first surgeons in the United States to replace traditional vein stripping with the use laser ablation in his own office. The Personal Side of Mark Blumenthal is pretty simple. Mark and his wife, Jeanne, met in 1982 and have been married for 30 years. She continues to be a strong inspiration. They have two grown children and they continue to live in their original home. His other loves continue to be his family and his pets. Often you will see his Bernese Mountain Dog, Lugano, patiently lounging in his private office simply waiting for Mark to finish another day. He collects cars and music, even a unique collection of cigarette lighters even though he never smokes. Mostly he enjoys being a part of the magnificent Japanese themed gardens at his home. Contentment continues to come from knowing he made a patient pleased by correcting the problem veins that have vexed them for years.